Greetings from far away land to you, fellow bloggers/readers! 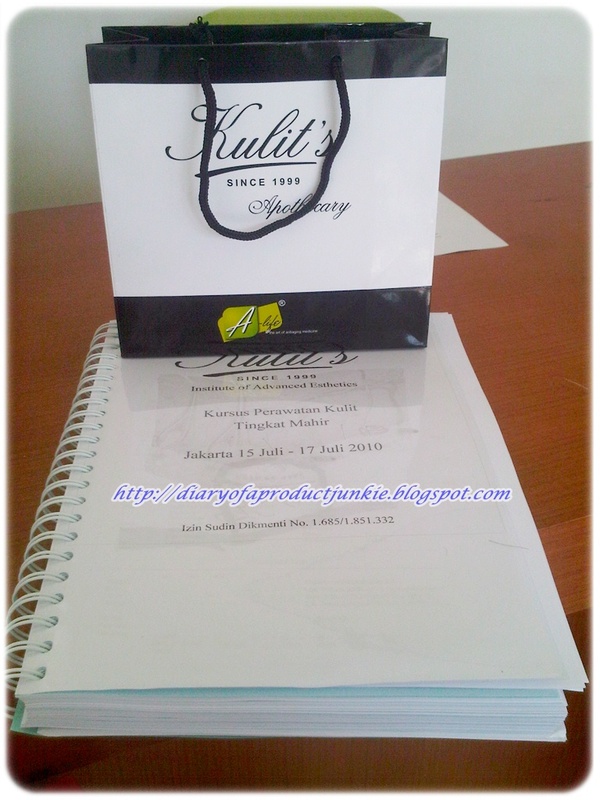 I just came back from a very tiring, but fun experience at an institute for beauticians. It's called KULIT Institute at West Jakarta, which is quite a long distance to travel from my house, but it's all worth it. 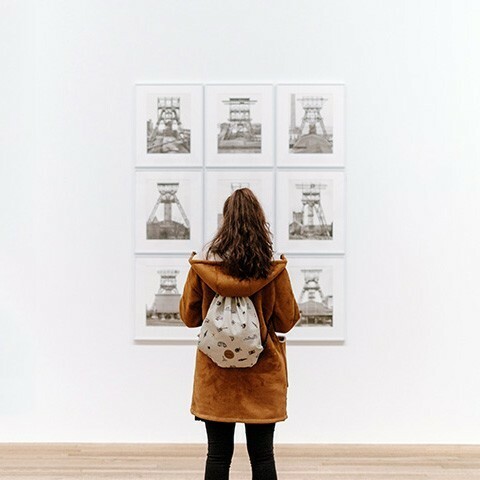 The thought of working in the field of aesthetic medicine never crossed my mind until I recently developed a liking to studying the ingredients for skincare products. If you followed my blog, you can see how much of a new "addict" I am now to skincare. So, that's when I decided to be a physician in aesthetic medicine because it would be something I would really love to study, although I still love physical medicine and rehabilitation. I signed up for the course and in the end will receive my certificate within a week's time after the course had ended. The night before the first day of the course was quite nerve wrecking for me because it has been a while since I attended a lecture and wake up early in the morning. Lately, I have been staying up all night, doing Gawd knows what and wake up around 10 a.m. I set my alarm clock and hoped that I won't be late for the first day. I didn't. As a matter of fact, I got there half an hour before the class started and got materials, such as lecture notes and few samples. 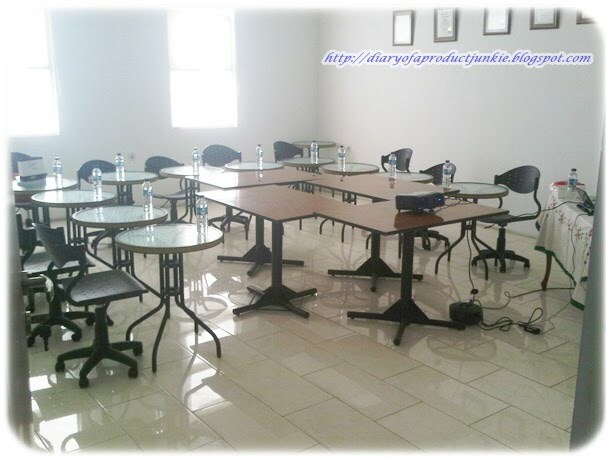 The classroom is a very comfortable and friendly environment when used for studying. The tables are set in the shape of a "U", making it easier to see each other's faces when they're talking, without having to bother turning our heads to the back when someone is speaking. The maximum participants attending the course is limited to 10, so that it would be easier to teach or share the information. Inside the classroom, there's a door that leads to another room for treatments and demos, sort of a workshop. It's quite spacious, with 3 beds and 2 countertops, also a facial machine. The room feels very fresh as there are windows, so sunlight enters nicely to lit the room but, not sizzling the room to a grilling temperature. We have classes regarding the theories behind every procedure, continued with the practicing the materials on patients. 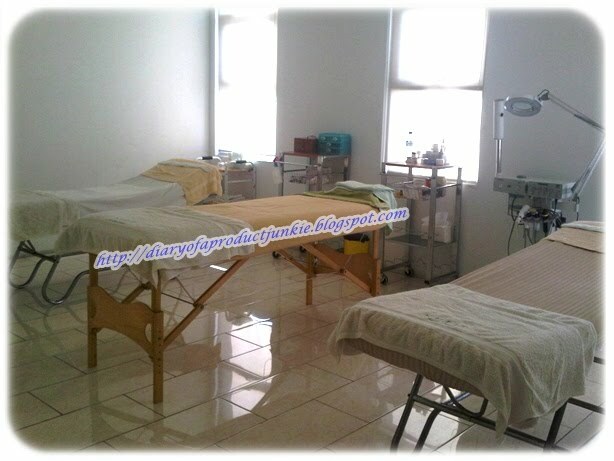 Procedures done are electrocauterization, microdermabrassion, intralesion injection for inflamed acne, chemical peeling, facial electrotherapy, etc. There are also basics for botox injection and dermal fillers, but it's not discussed in-depth as the materials are for advanced aesthetics. However, in my person opinion, I would say that for now, the basic botox and fillers are enough for me. Maybe I'll learn later on for the more advanced dermal fillers. So, this is the last day of the aesthetics training and we have just finished a dermal filler procedure on one of the participants. No, I'm not gonna tell you who underwent the procedure, I'm not a tattle-tale. Tee hee. The one standing on my left wearing a black blouse and the one next to her are the teachers. Thank you so much doctors for a very enriching experience and interesting course! The latest alumni from KULIT Institute, July 2010 batch. It was nice meeting you all and keep in touch!! hehehe, you made me blush as ppl wouldn't expect me to join these types of things, but to hell with those ppl =p As I've said, it is a "NEW" addiction. btw, can I still copy your chemical peel textbook?